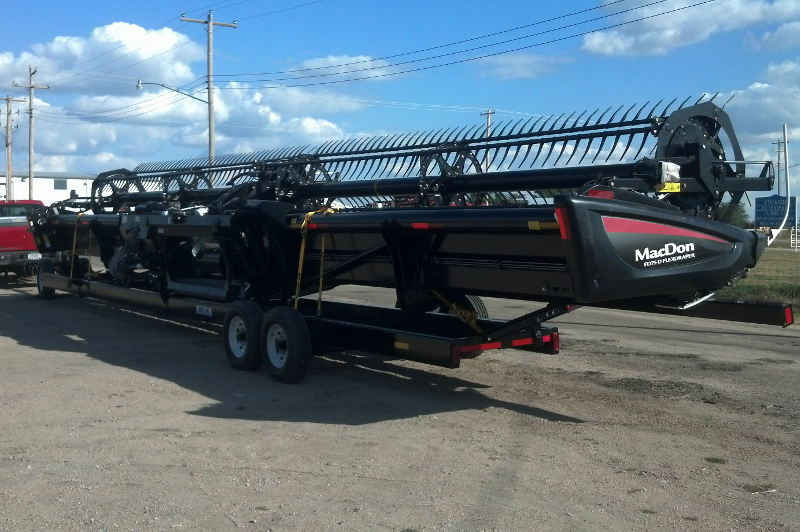 Duo Lift Head Hauler Trailers are adjustable, adaptable header trailers designed to help keep combine operators moving. A heavy duty frame and tapered gooseneck with torque tube provides a solid platform for high speed hubs, wheels and tires. Two ⅜” safety chains a ⅜” ball coupler, lockable sickle bar storage and adjustable chocks come standard.